South America. "America Meridionalis". Orig. copper-engraving from P. Bertius' "Tabulae Geographicae ...". Published in Amsterdam by J. Hondius Jr., 1616/18. 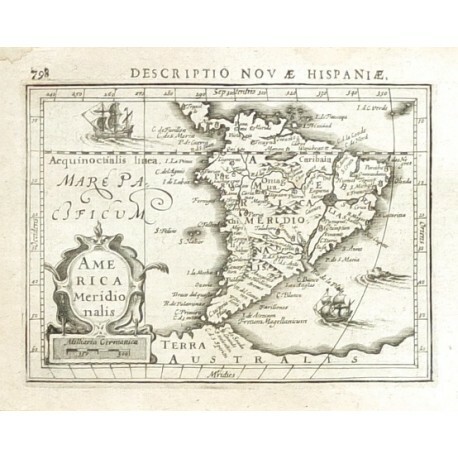 With ornamental title-cartouche with the scale of map ("Milliaria Germanica"), two ships, a sea-creature and Latin title ("Descriptio Novae Hispaniae") above the map. 9,5:13 cm (3 3/4 x 5 1/4 inch.). Koeman III, map 9800:342, ed. 342:01 (1616/18 Tabulae). 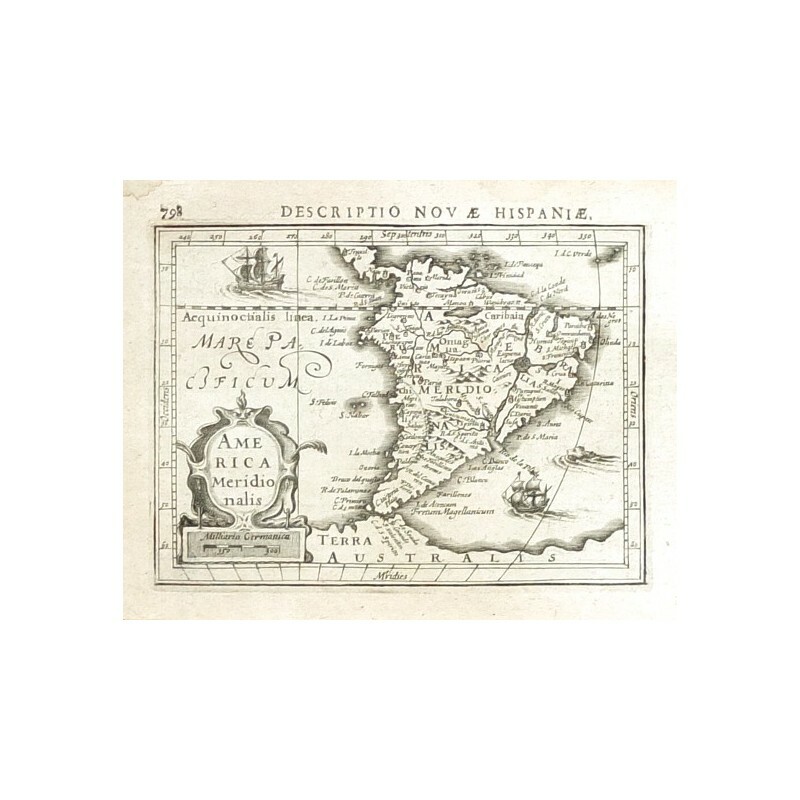 - A miniature map of South America.